Despite a legislative effort to make the classes mandatory, the bill's passage remains unlikely, suggesting that the teaching of life skills could soon end up extinct. 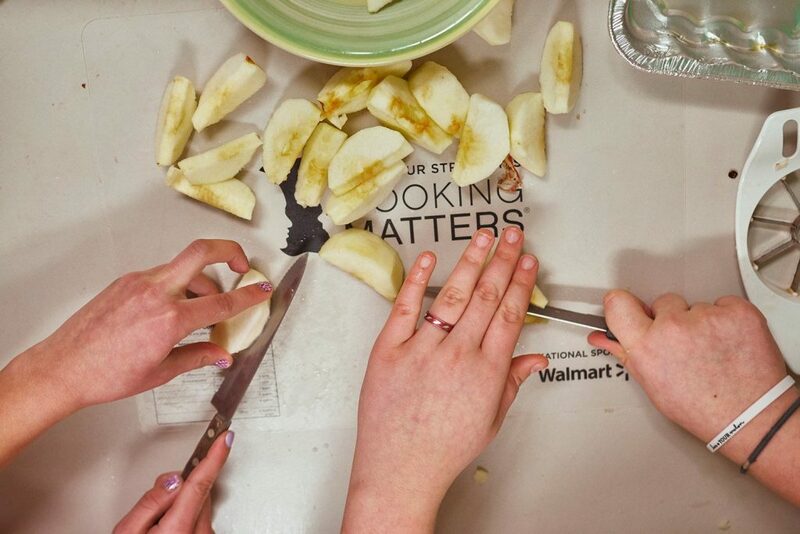 Eighth-grader Sam Gerber carefully holds a paring knife to the outside of a red apple, slowly cutting away the skin in small flecks. Beside him, Sabelle Guido waits to chop up the apple, which is destined for an apple crisp. Across the small classroom kitchenette, Kim Clifford is mixing pieces of butter with oats and brown sugar. 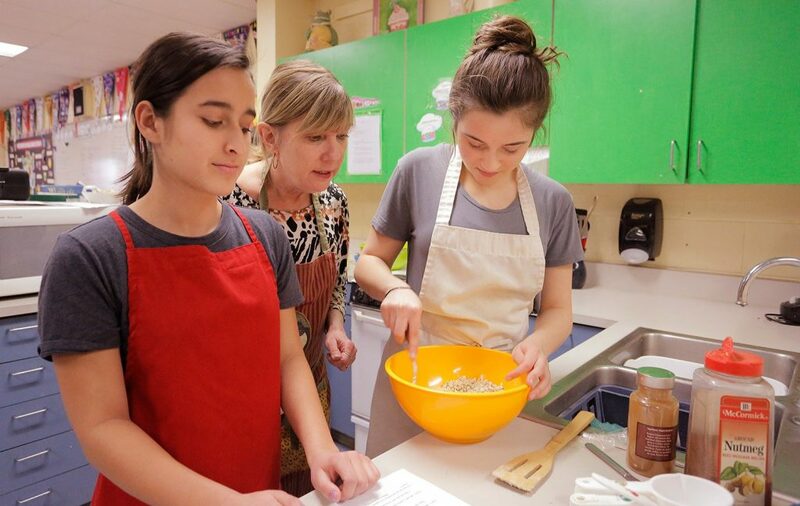 It’s fourth period at Lincoln Middle School in the Portland School District, where all eighth-graders are required to take family and consumer science class – a class known to students of an earlier generation as “home ec,” short for home economics. However, in Maine and across the nation, home ec classes are disappearing. 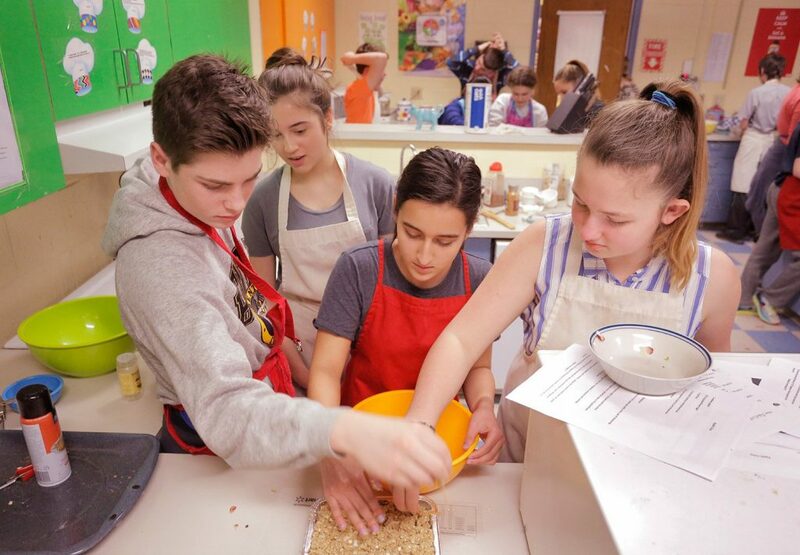 But one Maine lawmaker introduced a bill this session making a half-year of both home economics and industrial arts a graduation requirement. The full Legislature hasn’t voted on it yet, although the Education Committee voted that it “ought not to pass,” despite support for the idea. Once a mainstay in American classrooms, it’s getting harder to find consumer science classes and its academic twin – “shop class” – now likely called industrial arts or design and engineering. Only three states require consumer science classes, and there are about 5 million students nationwide, according to a survey by the American Association of Family and Consumer Sciences. 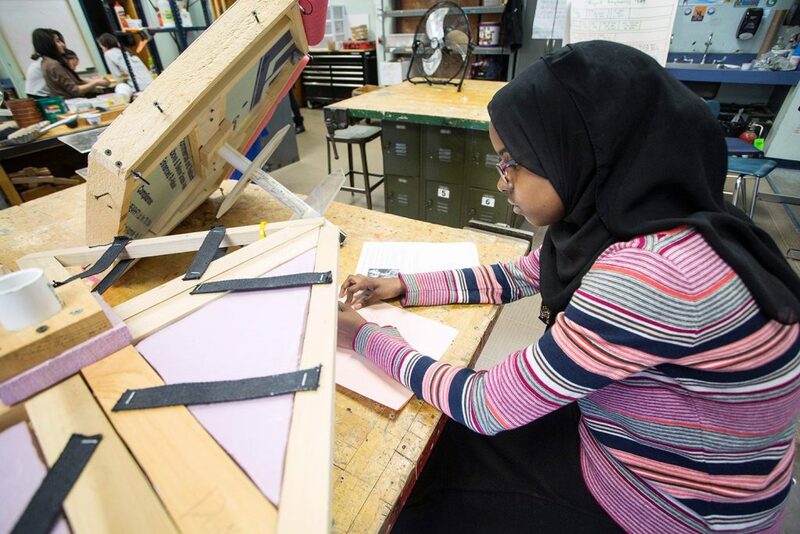 Most schools have abandoned the idea of offering these classes, which have morphed from World War II-era stereotypes of girls baking bread and using a hand saw to today’s more tech-savvy courses that send students out on job shadows or building a green energy project. Generally, people agree that the classes teach critical skills. But they’ve faded into the background as schools focus on new math, English and science requirements. 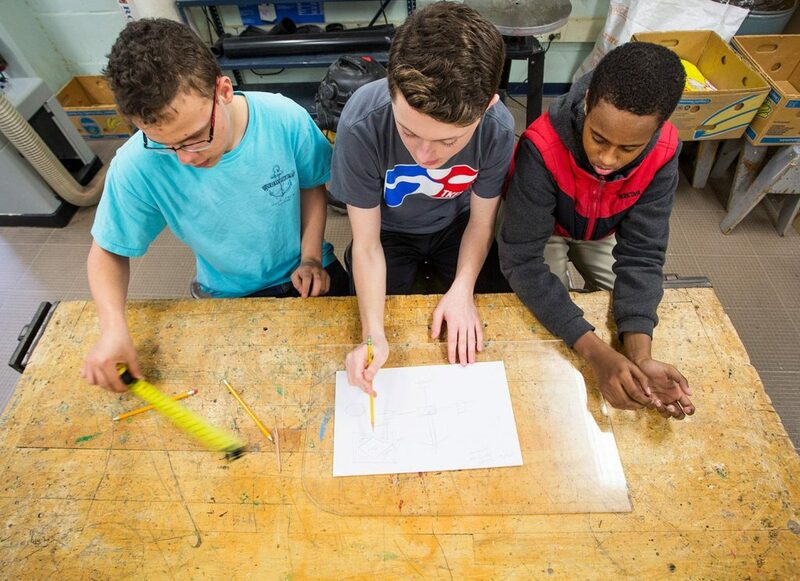 In tough school budget times, consumer science and industrial arts classes wind up on the chopping block as non-essential. And the classes attracted a backlash against the idea that girls-only home ec classes were intended for future housewives, and shop class was where academically uninspired boys wound up. In Maine, Mayer thinks the beginning of the end can be traced to 1997, when Maine adopted the Maine Learning Results for state standards and didn’t require home ec or shop classes. Maine colleges dropped the teacher training programs with specific certifications and it got harder to find certified teachers. Many of the courses end when the teacher retires, and the district chooses not to fill the position, she said. Saviello said that although he’d like to make the classes mandatory for all Maine students, he knows his bill is likely to fail after the committee recommended against it. He said he introduced the bill after having an epiphany at a homeless shelter. “We had families that came to us that did not know how to cook,” said Saviello, whose late wife had been a home economics teacher. At the food pantry, some people select only processed food and wind up spending more at grocery stores because they don’t know how to extend meals by cooking leftovers, he said. With basic cooking skills, they could eat better and save money. Lawmakers on the Education Committee universally said that although they supported the idea of having the classes, they couldn’t support the bill for several reasons: Many schools no longer have the facilities, there is a lack of certified instructors in the state, and they oppose the idea of adding another graduation requirement. Mayer said she still spends a third of her class on cooking and classic home economics: food safety, knife skills, folding laundry, sewing, setting a table, eating healthy and being a smart shopper. But she also spends a third of the course on money management and workplace skills, and the last third on child-rearing, including sending the boys and girls home with digital life-like babies that cry and fuss and keep track of how students respond. It’s important to learn these skills, said Andrea Garcia, 13. “If you want to be independent, you have to know this stuff,” she said. And it’s not always as easy at it looks. “I didn’t realize the technicalities of it,” said Guido, who in the home ec class has moved on to making the topping for the crisp. A minute later, she’s frustrated because she can’t cut the butter into small pieces. She’s using a wooden spoon. “This isn’t working,” she mutters to Gerber, who’s standing next to her. “Don’t you need a pastry blender?” he asks, heading off to find one. The students don’t see it, but that quick exchange represents learning: They’re executing a plan, running into trouble, figuring out what isn’t working and collaborating on a solution. The students are demonstrating planning, communication, resilience and confidence. “It’s a lot of character building,” said Gus Goodwin, the design and engineering teacher at King Middle School in Portland. 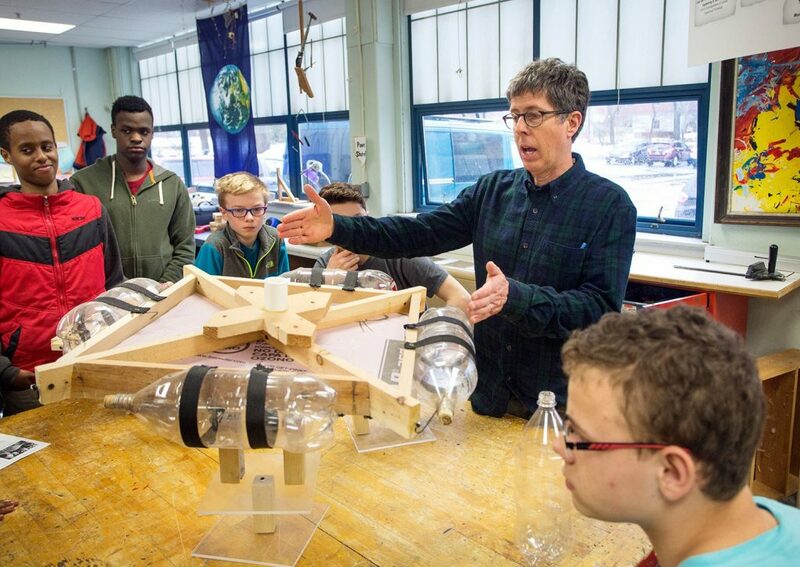 His students make floating wind turbines that have to generate electricity in his course. But the takeaway skills he describes sound similar to what Mayer says her students learn in her class. “They’re working on a team. They have to communicate. They have to share ideas. They have to reach agreement and then they have to pull their weight. Those are skills that translate into the real world,” said Goodwin, who’s been teaching the class for 23 years. And as Goodwin points out, it’s not just the name of the classes that have changed. 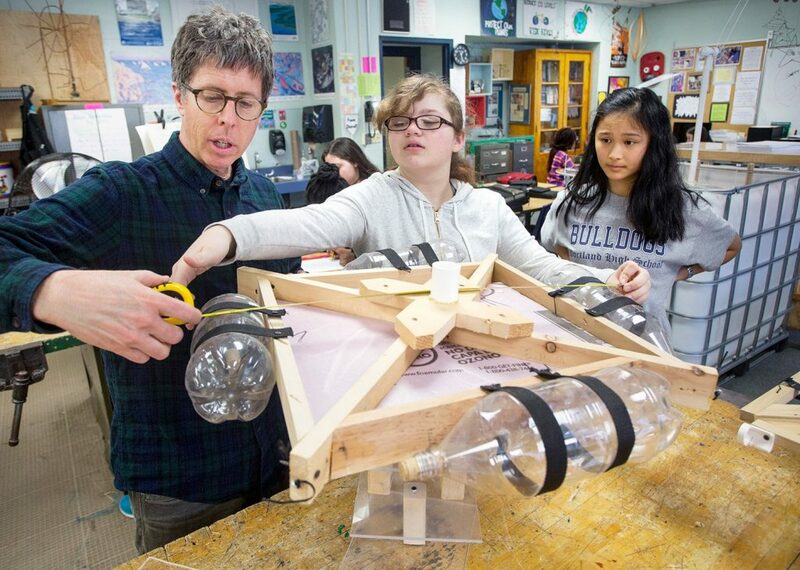 While “shop” used to mean trying to directly reproduce the teacher’s bookshelf or wooden footstool, today’s students are given a broad goal, like getting a wind turbine to float and generate electricity, and are encouraged to be creative in how to complete a final, successful project. Mayer still shows students how to sew on a button, but she also teaches them about healthy relationships, teen dating violence, and finding a job in today’s economy, items that weren’t on the syllabus in the 1950s. In fact, the class is returning to its science-based roots – the founder of consumer science courses was chemist Ellen Richards, a Massachusetts Institute of Technology instructor and the first woman admitted to the school. Most important, both classes are required for all students, so there’s no stigma about them being a sexist training ground imposing gender stereotypes. National experts say the classes should be seen as a way to teach life skills to all students. The students get that as well.